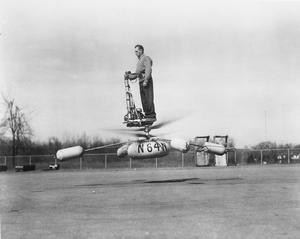 The pilot operated the aircraft from a standing position. The landing gear was in the form of 4 cantilevered air bags and a centrally located air bag. Design authority: de Lackner Helicopter Inc.
Primary manufacturer: de Lackner Helicopter Inc.
Resources related to the DH-5 Aerocycle, provided by the Vertical Flight Society. 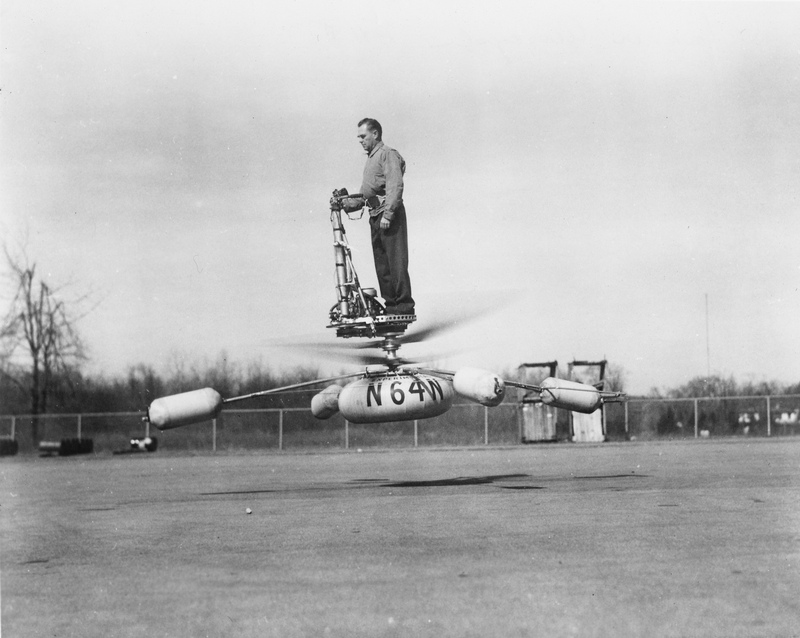 Resources related to the DH-5 Aerocycle, provided by public sources across the internet.